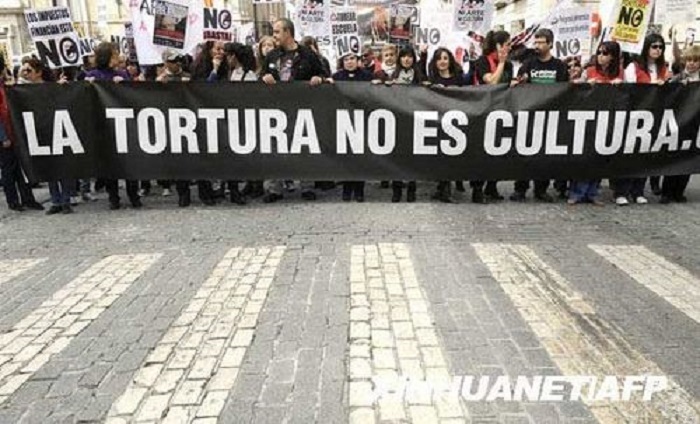 Art, sport, torture or sacred cultural emblem? 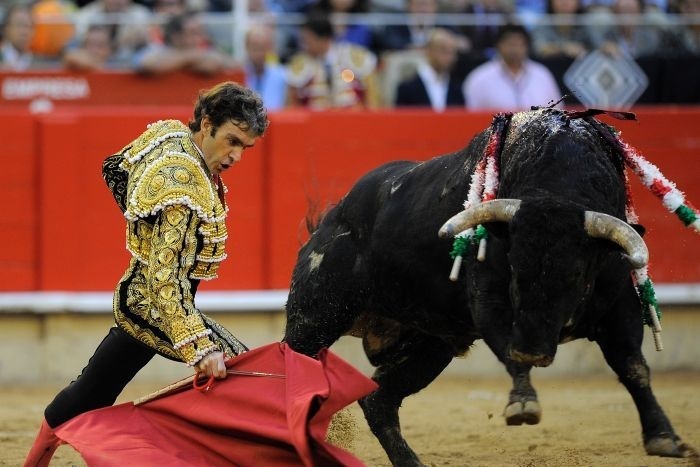 The legacy of bullfighting has many proponents and equally vocal critics. Read more here and take your stand. 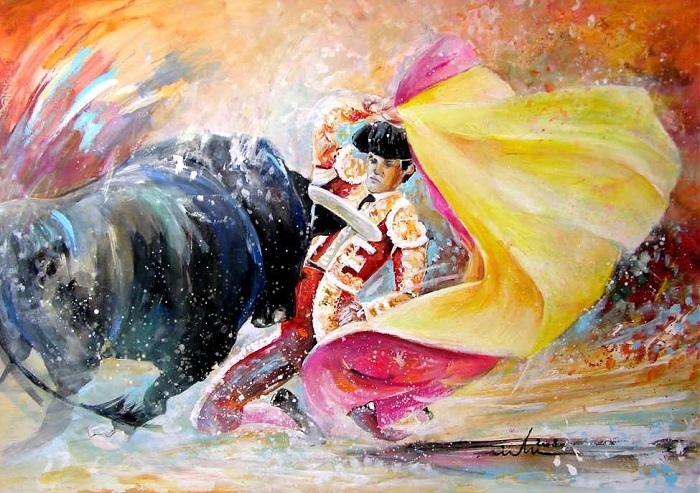 Bullfighting has played an integral and contentious role Spanish culture for thousands of years. Testing the lines between brutality, art, sport and cultural history, the event continues to provoke viewers the world over. 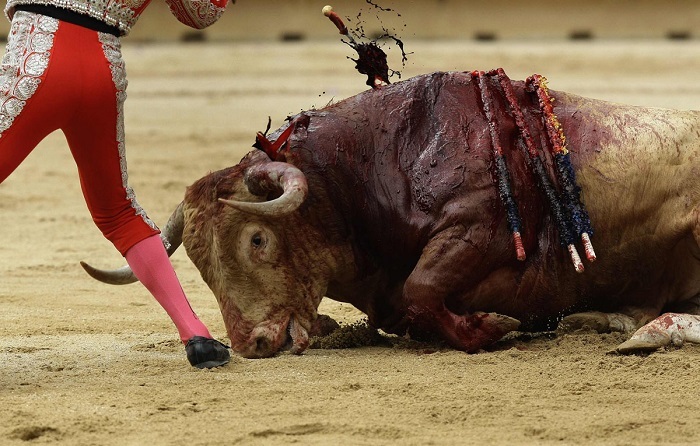 Naturally, the sport’s violent nature has caused many to reject the tradition as anything other than glorified savagery. 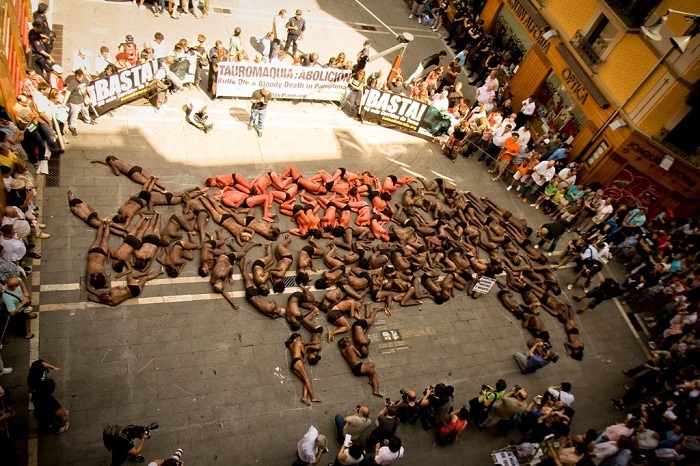 It is not necessarily an embrace of activists’ goals that might put the legacy of bullfighting to rest, though; many cite that a depressed economy has the power to kill the sport for good. 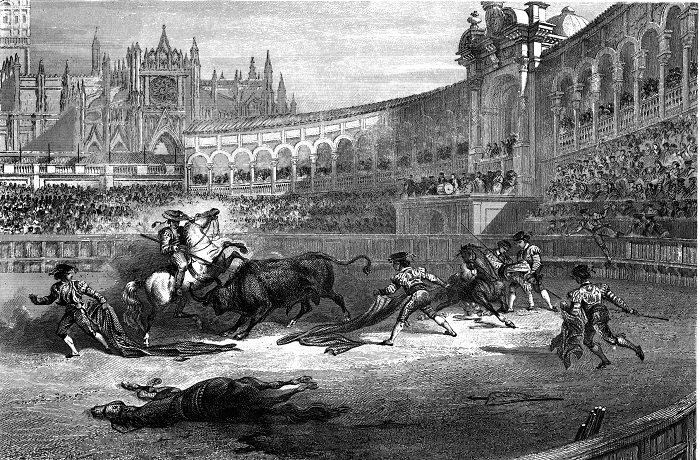 Historians can trace Spanish bullfighting back to 711 A.D., when the first known bullfighting event took place in honor of the coronation of King Alfonso VIII. 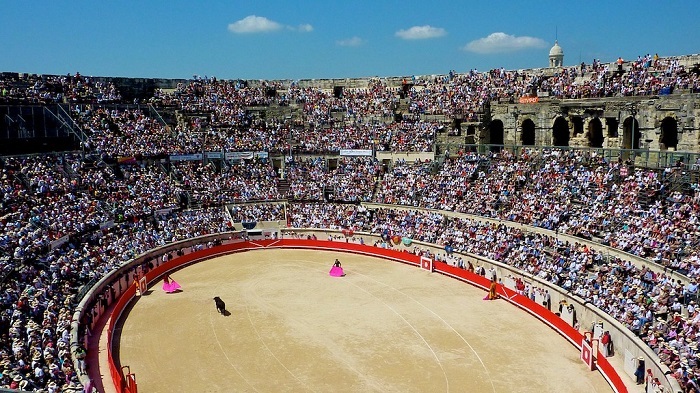 Having roots in the Roman concept of gladiator games, bullfighting was originally a sport reserved for aristocrats and was performed on horseback. Over the centuries, the idea of the sport transformed, until 1724 when the art of dodging and stabbing the bulls on foot became commonplace. 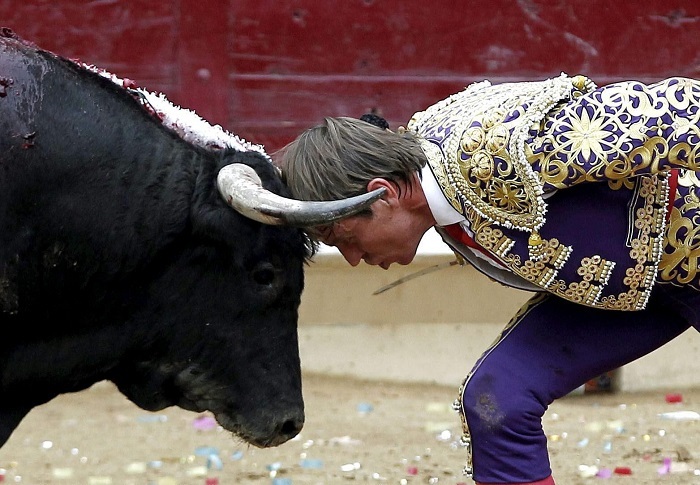 In modern Spain, bullfighting season starts in Spring and ends in Fall. As with other sports, the event begins with an opening ceremony, which is followed by the fight, appearing in three distinct parts. 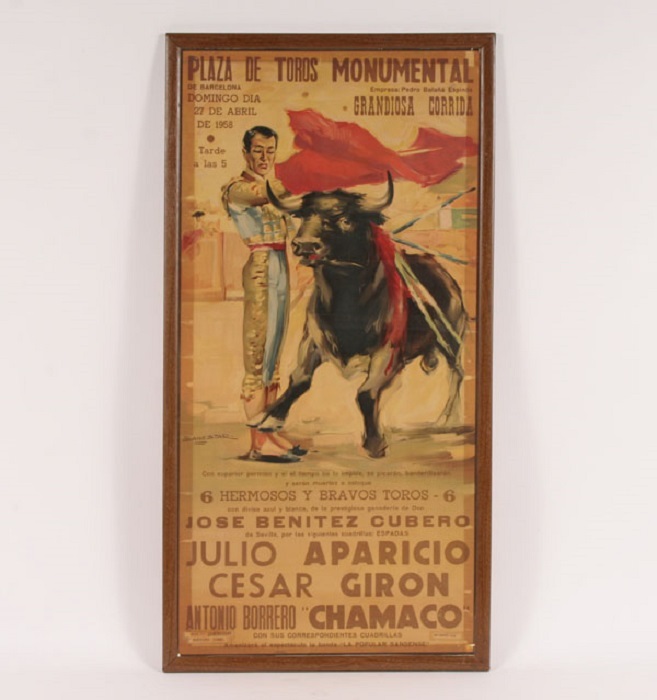 Once officials release the bull, the first third, called the tercio de capa, begins and the matador carries out a series of taunts and passes to tease the bull. 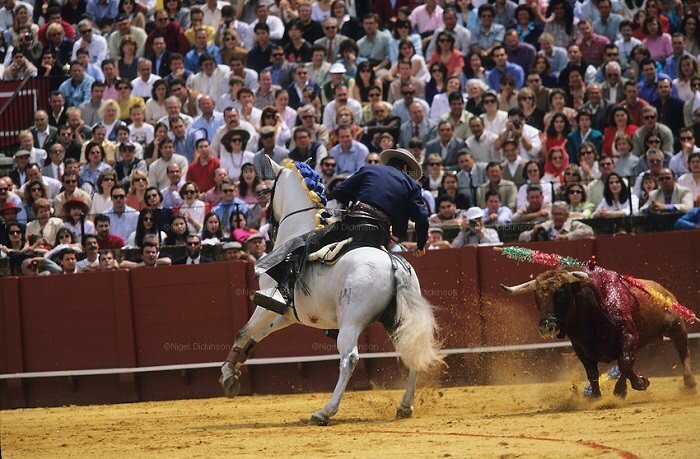 The tercio de varas follows, where bullfighters on horseback pierce the bull’s shoulders with lances. 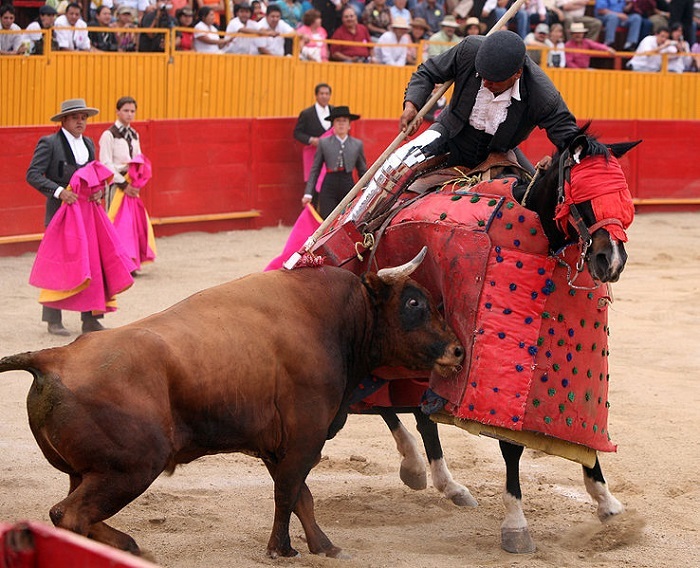 Banderilleros then rush the arena and puncture the bull with colored darts thrown into its back. 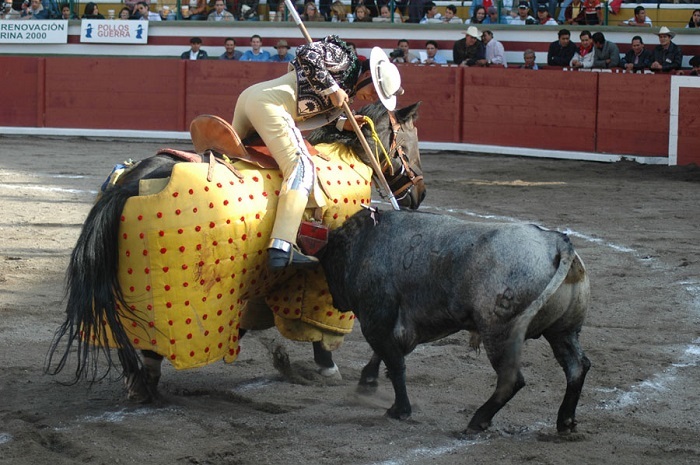 The final third of the bullfight is the killing stage, also called the tercio de muleta. 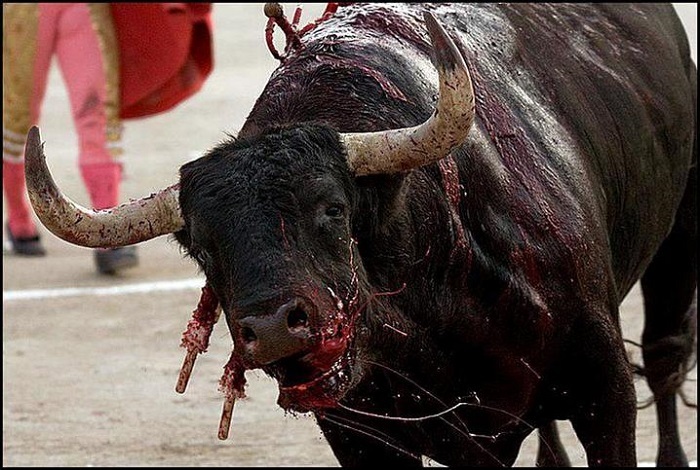 After the lengthy cape and picador stages, the bull is worn down, hurt and “ready” to be killed. 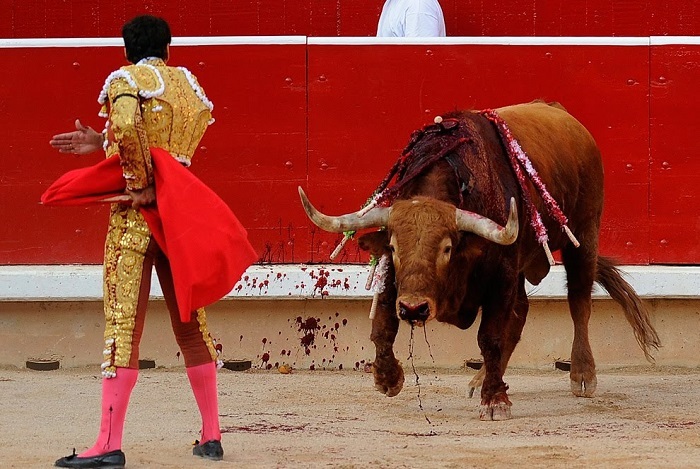 To initiate the kill, the matador advances with a red cape and sword, which he will plunge into the bull’s back. 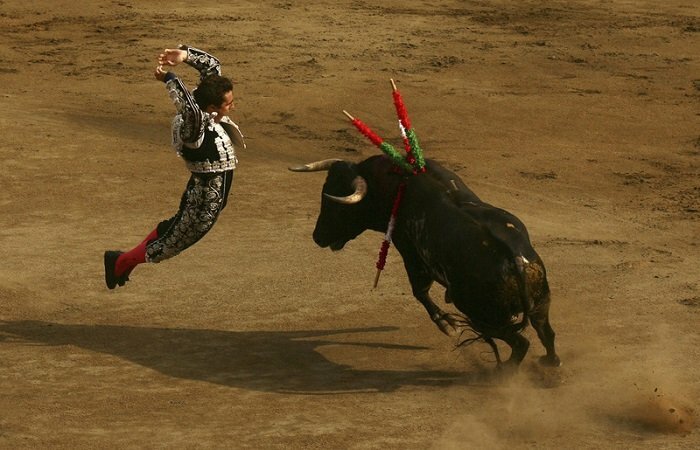 Once the bull falls to the ground, an assistant will run to cut its throat. 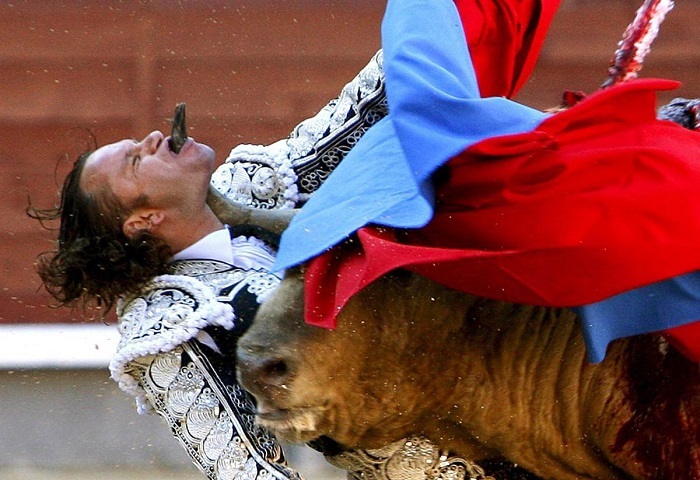 The event’s highest official may then bestow the bull’s ear or hoof on the most brave and talented matadors. While bullfighting has found a home in Spain for thousands of years, modern times threaten the tradition’s existence for many reasons. 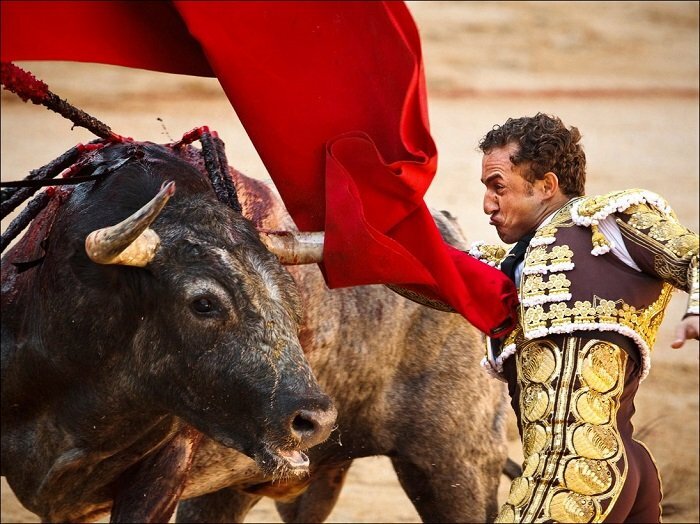 Once a primary form of entertainment for many Spaniards and tourists alike, bullfighting now competes with modern technology like television and the internet, both of which have provided alternative–and more humane–forms of fun for a cheaper price. Attacks and protests from animal rights activists also continue to weaken the sport’s place in society. While many strongly oppose the tradition of bullfighting, others fiercely support the sport as an integral component of Spain’s history. 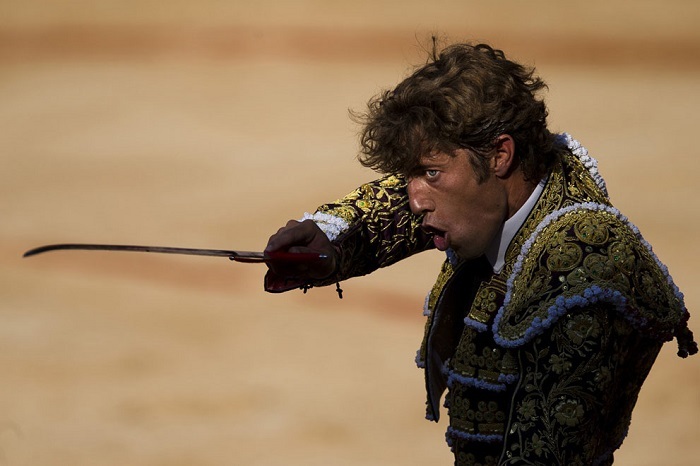 Supporters of the tradition revere the sportsmanship, class and strength of the matador, and find that the symbolic tradition of man facing death transcends the bullfighting ring.